Our veteran professionals are among the industry elite, each possessing extensive knowledge of financial strategies and products. At The PRICE Futures Group, our employees are our most important asset. We are proud of their accomplishments and even more so, proud of their strong dedication and loyalty to our clients. This unique, customer-focused attitude is something you will come to expect from our team. Susanna has been with the firm for over 20 years. She joined the firm in 1997 as Assistant to the President and has worked closely with Tom Price, Chairman of Price Holdings, Inc., on all aspects of the business. In 2008, she became the firm’s Executive Vice President and Chief Operating Officer and assumed operational responsibility for the firm’s compliance, internal accounting, payroll and trading/administrative policies of the firm. In 2013, she was named President and CEO. She is also a member of the Executive Committee and on the Board of Directors of Price Holdings, Inc.
Ms. Jung currently holds her Series 3, 7, 63, Life, Accident and Health Insurance licenses. She is fluent in Cantonese. 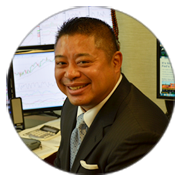 Ron has been with The PRICE Futures Group for over 20 years and is one of the original brokers with the firmhas deep experience on custom designing hedging strategies for various agricultural, energy, and firms with currency sensitive risk. Ron also has vast experience managing institutional capital, pension and endowment funds, and family office assets. As Director of Risk, Ron utilizes both perspectives from the trading side and the brokerage side to quantify and monitor market risk and exposure for the firm. As Director of New Business Development, Ron’s trading background and experience in capital introduction is guiding the future direction of new business products and services for the firm. Ron holds his Series 3, 65, 22, Life, Accident and Health Licenses. His philosophy on investing centers on providing clients with cost-effective, well diversified portfolios and investment strategies that fit within a specific risk tolerance. Ron believes that the goal of investing is to achieve compound annualized returns that meet the client’s investment objectives. And for hedge clients, the goal is to lessen their market price risk by helping them to develop and implement a well-defined hedging risk management strategy. Ron is also a member of the Finance Committee for the University of Illinois Alumni Endowment. 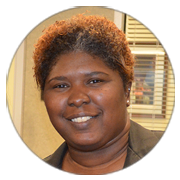 Kelley Washington began her career on the trading floor as a runner at the Chicago Mercantile Exchange in 1994 where she became familiar with open outcry “pit” trading and traditional order routing procedures. Working her way up, Kelley moved into a phone clerk position in the International Monetary Market’s currency quadrant. While there, she honed her customer communications skills by learning the fine art of hand arbitrage. During this same period of time, Kelley also worked in the back office for Index Futures where she reconciled customer orders and processed nightly out-trades. Kelley is a very driven individual and she followed her ambitions over to the Chicago Board of Trade in 1996. 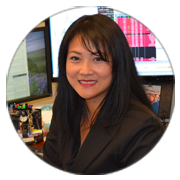 After a brief stint in the CBOT grain room, she settled in on the bond floor where she most recently managed the DJIA futures trading desk for MF Global, Inc.
Kelley brings with her a valuable working knowledge of the trading floor and back office operations, and currently holds a Series 3 license. Please do not hesitate to call upon her for any account inquiries or assistance should the need ever arise.